“I contacted Arielle to rebuild my two veterinary dermatology websites. They were both 5 years old and in need of a revamp. The reason I contacted her is that I had already seen some of her work and was impressed and the fact that she was also a vet was a huge bonus – I felt she would understand her client much more than any other website developer could! Her expert knowledge of website building has allowed her to put some of my ideas for the design into reality and she has produced two websites I am very proud of. Communication, via email was easy. Arielle was always prompt in getting back to me and allowed me to send various photos and ideas for headers and try them out. 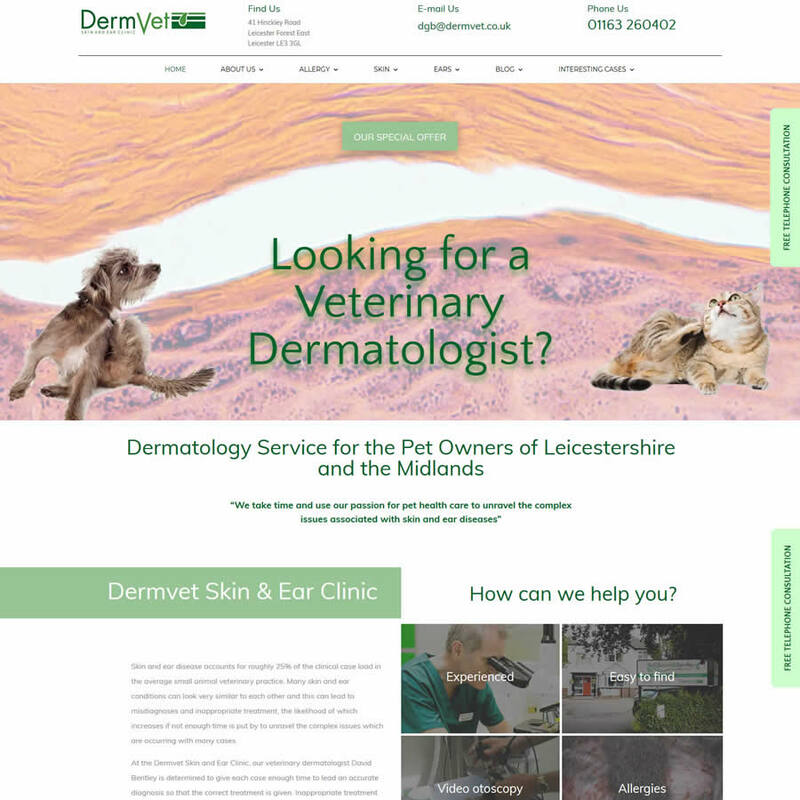 2 new websites completed for skin referral vet in Leicester – David Bentley. He had strict requirements and required very careful search engine optimisation of all his own images that appear in both site so that he appears top in search engine searches for his skin referral services. Each new site we work on has….